Taking it’s name after the smallest aircraft ever built in reality, the BumbleBee marks what I perceive to be the absolute limit in fairing prop technology. Powered by the ever reliable 11 wheel engine, BumbleBee takes miniaturisation to the max. BumbleBee’s distinctive gull wing configuration is necessary to give the propeller enough ground clearance. 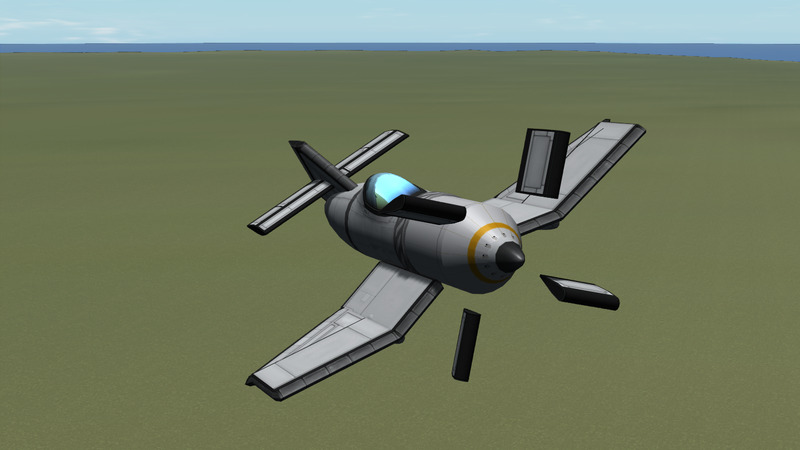 It’s small size and limited wing area mean that torque from the engine makes this a challenging aircraft to control, though if piloted right it can reach 135m/s. 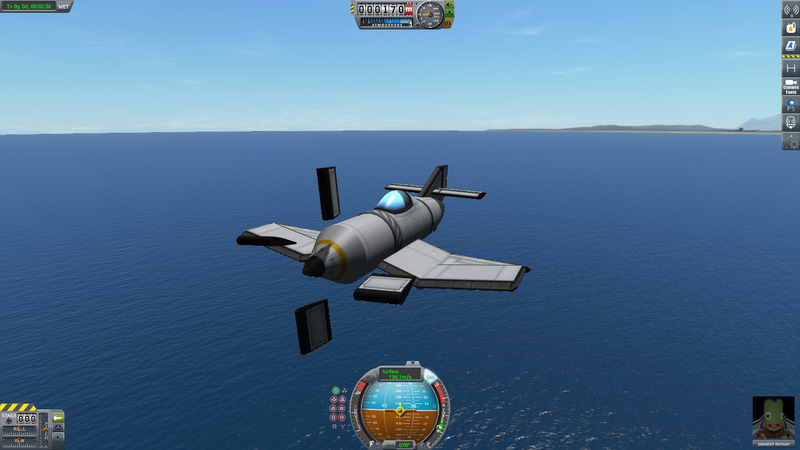 To fly, press ‘1’ to detach the propeller. Switch to the propeller assembly and hold ‘alt’ and ‘q’. The aircraft should begin moving and rise into the air without any input. Once in the air, press ‘2’ to change the pitch of the propellers, allowing the aircraft to reach it’s top speed. A stock aircraft called BumbleBee. 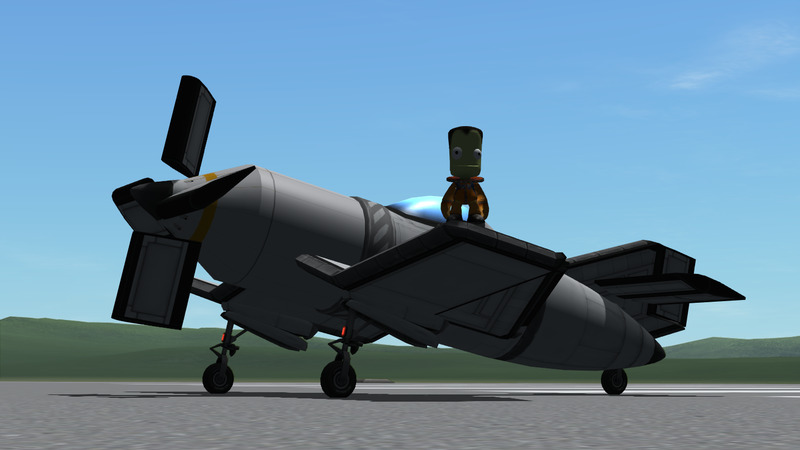 Built with 50 of the finest parts, its root part is Mark2Cockpit.